Gracefully Curved In Hand Forged Iron And Finished In Antiqued Silver Leaf. Top Is Clear Tempered Glass. Matching Coffee Table Is #24593. Gracefully Curved In Hand Forged Iron And Finished In Antiqued Silver Leaf. Top Is Clear Tempered Glass. 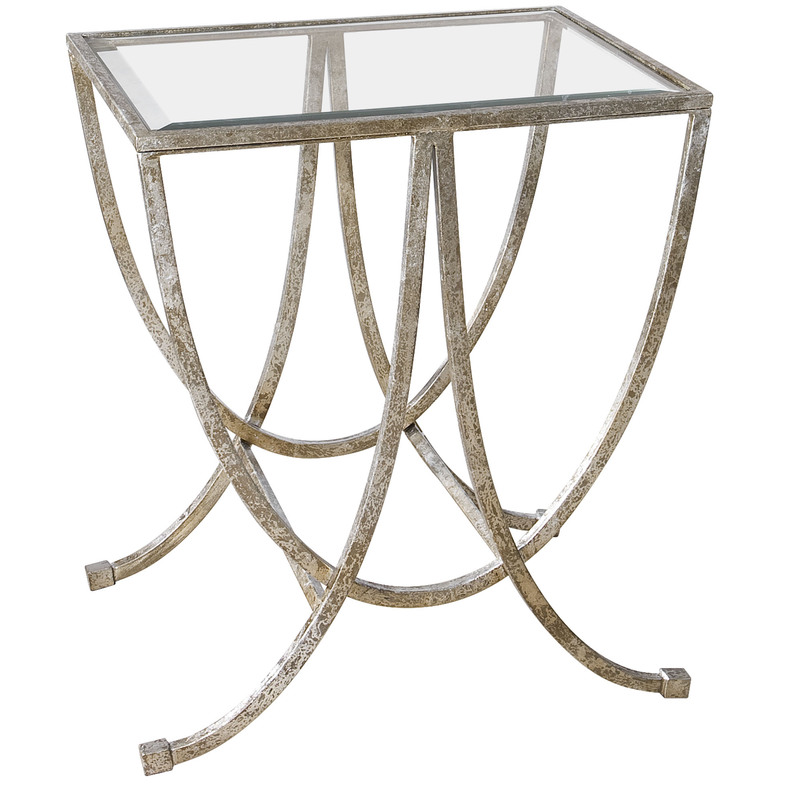 The Accent Furniture - Occasional Tables Marta Antiqued Silver Side Table by Uttermost at Miskelly Furniture in the Jackson, Pearl, Madison, Ridgeland, Flowood Mississippi area. Product availability may vary. Contact us for the most current availability on this product. Finish & Paint Options Gracefully Curved In Hand Forged Iron And Finished In Antiqued Silver Leaf. Top Is Clear Tempered Glass.